Today I want to talk about the Dining Room… It is the second room in house (behind the kitchen) that is primarily designed for family time and entertaining. We tend to spend a lot of time here for celebratory dinners, family events and occasions – all sorts! Even important discussions happen around the dining table so it’s important that the design is just right for all pinnacle moments. Whether you have a separate room in the house for dining, or your dining area is open plan next to your kitchen, this room deserves to be designed with practicalities at the forefront. 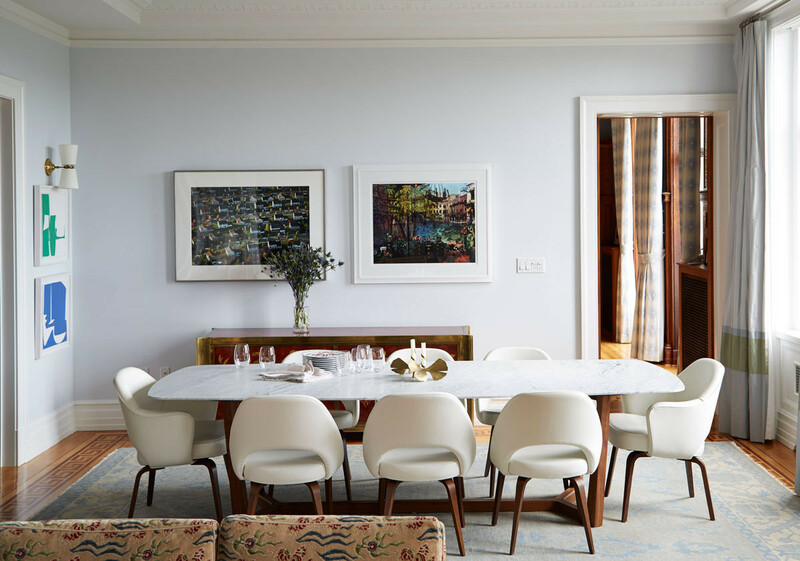 For that reason, it can become a minefield to know exactly how you can create the perfect Dining Room for you and your family amongst the sometimes conflicting trends. The most important thing to remember when re-designing your Dining Room is to think about what you use the space for the most and try to keep things simple, yet practical for your needs. 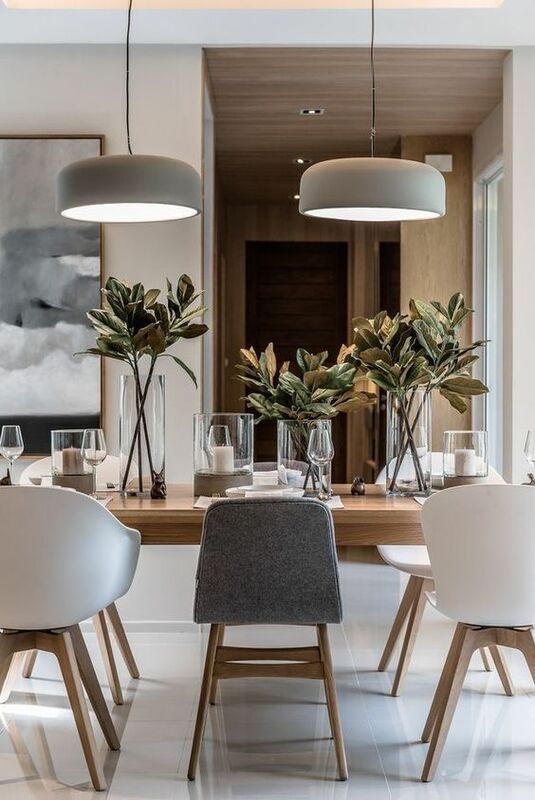 As always, throughout this post you will see lots of beautiful Dining Room set ups which I hope inspires you to update yours to fit your needs. These references are grouped into their specific section for ease of understanding why it has been chosen. One of the hardest areas of the Dining Room to accomplish is choosing the right furniture for the space you have. Many people tend to go for the prettiest or most cost effective solutions but do not pay enough attention to the ergonomics of the room. When I say “ergonomics”, for those who may not be familiar with the word, it is putting the human anatomy and behaviour at the heart of design. So it is making sure there is apple space surrounding your furniture to use the room properly without squeezing through tiny gaps and cursing the pieces for being too big… It’s thinking about how you are using that space and keeping that as the main priority. 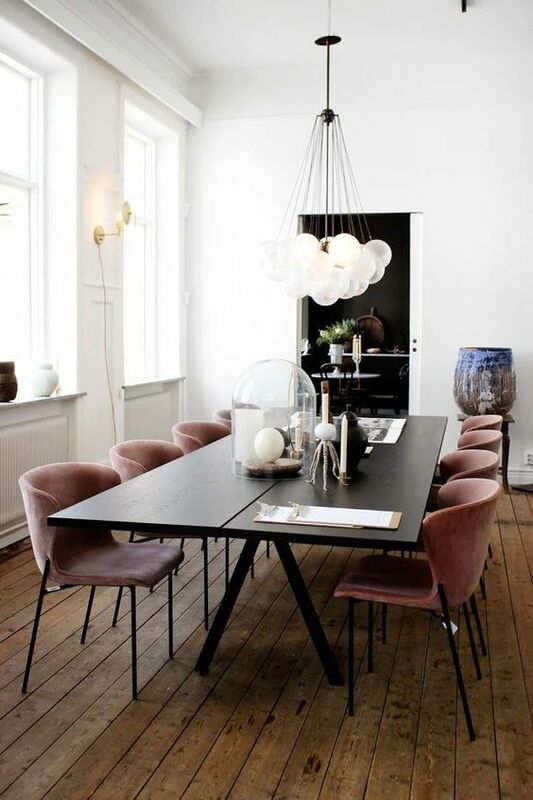 So how do you choose a dining table that is right for you? This (as you’ve probably guessed it!) all depends on the space you have available and the set up you have. 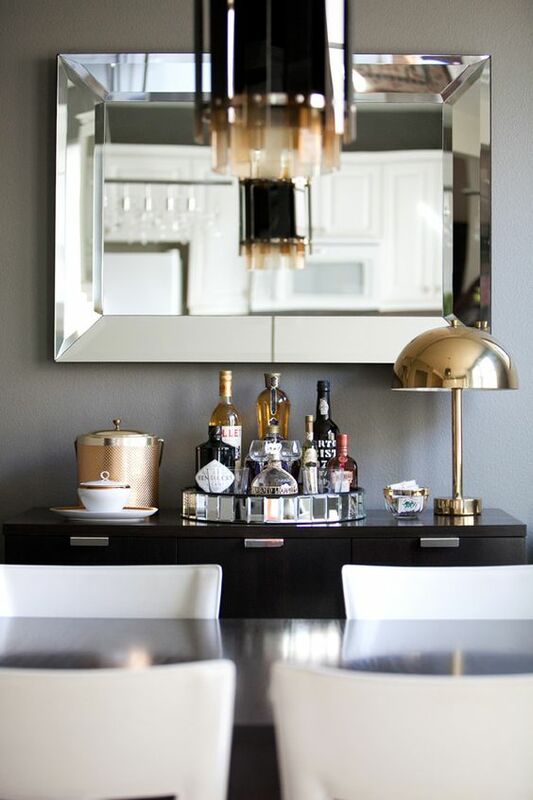 If your Dining Room is separate from your kitchen and other rooms, think about having a sideboard, rectangular table and chairs well spaced out. Of course if your room is more of a square in size then a square sized table would work much better. 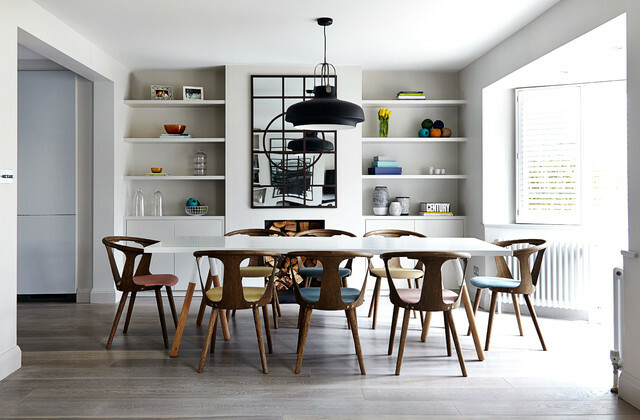 For Dining Rooms that are connected to the kitchen and open plan, I would highly recommend a circular / round dining table. This is because they are much more sociable and fitting to that arrangement of living. Now for the chairs… Try not to get carried away by the “in the moment” trends but rather go for something that is practical to you and your family. If you have young children it might be fun to mix it up with a bench to one side of the table which can be updated to chairs in the future. Or if you’re a young family, keen to entertain family and friends then faux leather modern chairs could be the way forward for you. I don’t know about you, but I love to entertain. Whether that’s friends for dinner parties or family at Christmas, entertaining is one of my favourite things to do. When you do a lot of this, you need appropriate storage solutions for all those table decorations, posh or fancier plates etc and serving dishes and bowls. All of these things can take up a lot of valuable cupboard space in the kitchen so my biggest recommendation to anyone is to allow for a sideboard in your Dining Room. If you’re thinking, “I don’t entertain often – I wouldn’t need a sideboard.” Think again. This piece of furniture is the ultimate way to not only declutter your dining room, but your kitchen too. Those things you always leave out on the countertop because you don’t have cupboard space? 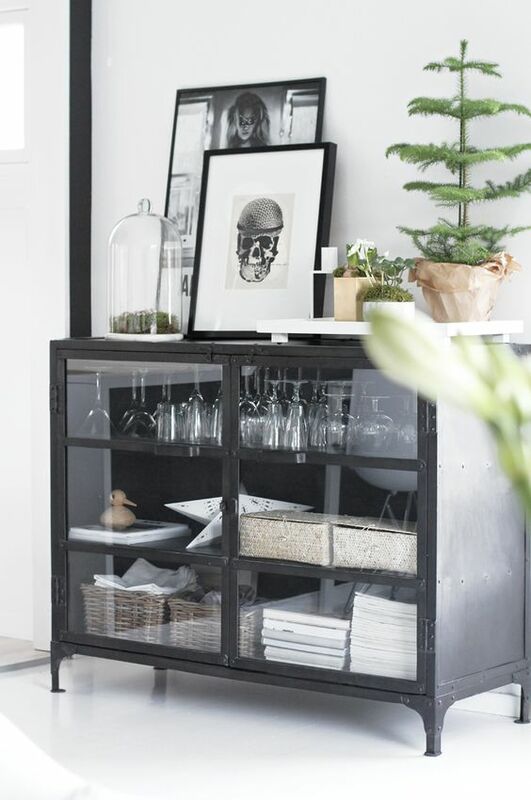 Move the appliances you rarely use from the kitchen cupboards into the sideboard, is just one idea. Those large serving dishes, trays, napkins, and “best” china can all be stored in the sideboard. As the Dining Room is where you will spend most of your time eating and having discussions with family and friends, it ought to be well lit. Not only for this, your children might prefer to complete their homework here, or perhaps those creative hobbies you have can be better enjoyed in the Dining Room. However you intend to use this space, it will need to be well lit. If you have space for a sideboard, this is the perfect opportunity to style it in a similar way to a console table and add a gorgeous lamp. Otherwise, opt for a feature light fitting – floor lamp or ceiling light. If you’re changing the ceiling light here, try to stick with a fitting that is the same shape as the table below. A circular light fitting never looks great above a rectangular table. 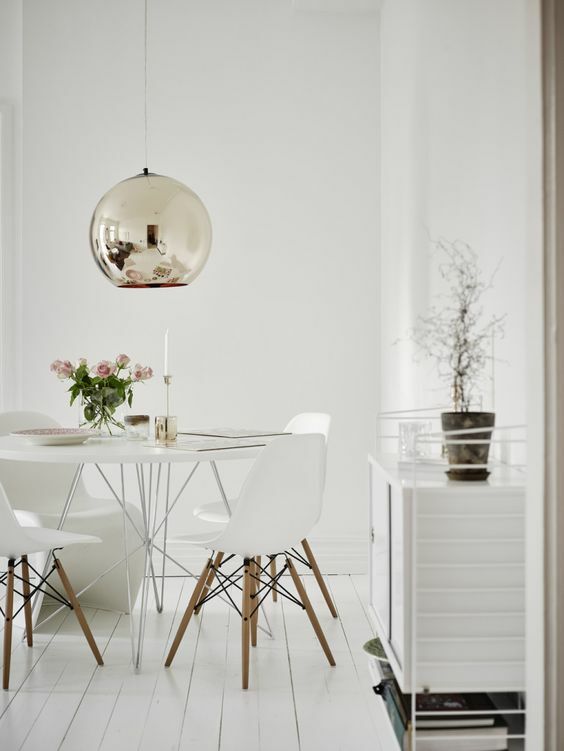 Some people may prefer to keep their Dining Rooms completely clear (or as clear as possible!) from clutter, but I believe this room can still be dressed well. If you have opted to have a sideboard here, please see my Styling Console Tables post for ideas on how to style this piece of furniture (as it is very similar to that of consoles). The main element of this room, being the table itself, should be styled according to its primary use in your home. As discussed earlier, every family uses the room differently. It may only be used on rare entertaining occasions, or it could be used every day! No matter how you use this room, it looks absolutely fabulous when the table is dressed. Dressing the Dining Table is more than just place matts and cutlery. It’s about the centrepiece too. If you have a circular table, a beautiful vase filled with seasonal flowers is the simplest and most effective way to dress it. For more rectangular or square tables, you can be a little bit more adventurous. I would recommend a few plant pots or vases arranged in a line (again with seasonal flowers where possible), or a large tray with a variety of accessories in. 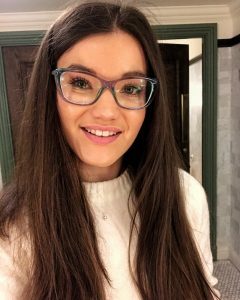 I really hope you have enjoyed reading this post and has given you some inspiration on how to create the perfect Dining Room… Have you enjoyed reading this post? How have you made the most of your Dining Room? Please let me know in the comments below!